You are here: Home > Search for "P21s"
The P21S Deluxe Auto Care Kit is the ultimate, all-in-one detailing kit for home or travel. This kit includes everything you need to wash, polish, and wax the paint, and clean the wheels. The kit includes P21S Gel Wheel Cleaner for extra challenging wheels, and the new P21S 100% Carnauba Wax - wipes on and buffs off as easily as most liquid waxes yet provides a deep, wet, shine that only Carnauba can create. Everything is contained in an easy to carry, plastic case that is small enough to fit in the trunk of your car. Detailbest.com also sells the individual P21s products so you can keep your Car Care Kit always fully stocked and ready! Clear fronted case holds 6.2 oz. Carnauba Wax, 11.8 fl. oz. Paintwork Cleanser, 16.9 fl.oz. Bodywork Shampoo, 16.9 fl. oz. Liquid Spray Wheel Cleanser, and Crystal Clear Windshield Wipe. You also receive directions, a Paintwork Cleanser applicator pad, a spray head attachment for the wheel cleaner, and a rather nice sponge. 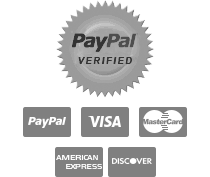 Products are Germany and USA manufactured. Everything comes in a handy reusable carry case, and we can also get you separate P21S items for restocking. P21S is an ideal choice for those who want good quality car care products at a somewhat lower price point. However, there is no need to worry as their products are safe to use and car friendly. Porsche owners first discovered P21S products during the 1960s, and a cult following soon spread among the enthusiasts. One observer likens P21S to "Business Class" of the car care products world. Still much much better than "Coach". If you've flown or taken Amtrak lately you will appreciate the comparison! Especially when comparing against cheap vehicle harming products offered by the Big-Box stores to the unenlightened. P21S remains a great value for the money! And there's nothing wrong with giving you car a gift! P21s products became famous in the USA years ago, when returning military service personnel brought them back from Germany! P21S studied formulas developed in the cosmetic industry to create the ultimate in car skin care. A unique blend of wheat germ and sugar-based surfactants and neutral "betaine" chemical compounds allows P21S Bodywork Conditioning Shampoo to condition as it cleans. This chemical formula helps ensure the oils your car's skin needs for its appearance are not destroyed or drawn away during the cleaning process. Safe and effective German formula. Some car enthusiasts think that pure carnauba-based formulations are very difficult to apply and remove. P21S has achieved a technical breakthrough in this new product allowing wax to be applied and removed as easily as conventional waxes that blend carnauba with other wax varieties. The result is the absolute maximum in what natural carnauba has to offer; incredible gloss and color enhancement & the famous UV and scratch protection that makes carnauba so desirable. New P21S 100% Carnauba Wax is fully compatible with the new "scratch resistant" clear coats and will not leave white stains on most plastic or rubber. 6.2oz jar comes with innovative "hand grip" pad that simplifies your wax application. A sprayable, thicker, and stronger gel-based wheel cleaner that sprays easily and clings to the wheel surface for incredible cleaning of heavily soiled or neglected wheels. The thicker gel formula will cling to vertical surfaces better than the original P21S High Performance formula. The longer you leave it on, the harder P21s Wheel Cleaner works! Perfectly safe for all types of wheels when not used in direct sun or on a hot wheel. Spray on a cool, dry wheel, sponge evenly over the entire wheel surface to remove any drips or runs, allow to work for a few minutes and then rinse off all traces with water. Heavy accumulations of brake dust residue may require gentle brushing with a soft brush before rinsing and/or multiple cleanings. Our favorite wheel cleaner for heavy accumulations of brake dust. 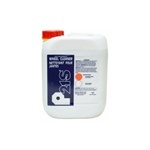 P21S Paintwork Cleanser is a great way to prepare your paint before sealing or waxing. This pure polish helps cleanse the clear coat so it is free from embedded debris, dirty water spots, bird droppings, and pollution damage. For the best results, you should thoroughly clean your paintwork before waxing. Over time contaminates will become lodged into your paintwork and a simple wash and dry is NOT enough to get the full benefit of waxing! Begin your waxing on a CLEAN surface, and you will be amazed at the results! And your car will make a good reflection on you! 11.8 oz. Made in Germany. 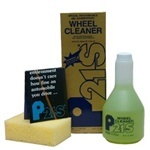 P21S Wheel Cleaner is one of the safest and most effective wheel cleaners you can find on the market. This product has become the most well-respected and widely-used wheel cleaner amongst professional and DIY detailers. What makes this German-formula wheel cleaner unique is its ability to deep clean all wheel types safely and efficiently. This formula is pH balanced and will not harm the finish of wheels that are bare metal or have a clear coat. A must-have in any garage. Application of car wax is easy with this unique, anti-fatigue applicator. The ergonomic design is comfortable to hold and the thickness of the applicator pad keeps your hand (and fingernails) away from the car's paint. Whether you're applying wax to a big SUV or a compact car, the anti-fatigue applicator allows you work comfortably, without tiring yourself out. A high quality wax applicator set. Made in Germany. Gel Formula P21S - for wheels that tend to soil heavily due to higher braking speeds, softer break pads or infrequent cleaning. Spray on. You can allow to stand up to 2 hours, touch stubborn spots with a sponge and rinse off with a sharp stream of water. Gel composition clings to vertical surface to provide increased cleaning effect. Set comes with sprayer and sponge and wheel care booklet.